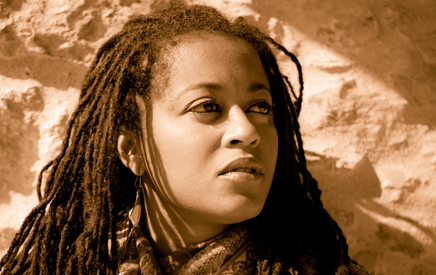 A leading representative of the new generation of Cape Verdean singers who emerged in the wake of Césaria Évora’s transglobal success, Sara was born off the islands, and part of the generation whose parents migrated from the bleak Atlantic islands off the coast of Senegal, to Portugal, in search of work. As a teenager, Tavares founded the first Portuguese Gospel Choir in Lisbon and decided music was to be her destiny. Her favourite singers of the day were Stevie Wonder, Aretha Franklin, and Donnie Hathaway. In 1994, she won a national TV competition, and entered the Eurovision Song Contest. From there, a contract with BMG records brought Sara’s band their self-titled debut CD, Sara Tavares And Shout. During the immediate years that followed, the singer was drawn from gospel and pop music into Lisbon’s burgeoning African and Cape Verdean music scenes. Her 1999 debut solo album, Mi Ma Bô (finally released in the U.S. last year as part of a 2CD/DVD collection Alive in Lisboa on Times Square) was still rooted in R&B, but its producer, the Paris-based African artist and producer Lokua Kanza, helped Tavares find an upbeat Afro-pop mix. It earned her a gold disc in Portugal and a nomination for the Portuguese Grammies (Globos de Oero) for Best Artist/New Album. The second album, Balancê (also on Times Square) was Sara Tavares’ international launch pad; the promotional tour took her through Europe, to Japan and the U.S. The focus of her songs had shifted entirely to Cape Verdean and African music, and they were sung in Portuguese, Cape Verdean Creole and local street slang. A gorgeous album, its songs move to rhythms rooted in the islands and to the African Diaspora. Tavares explained that Balancê was about “taking life with a swing; being balanced and never taking yourself too seriously.” Live performances by the dreadlocked singer were sensual and moving, intense and lightly funky: songs for listening and dancing, showcasing her extraordinary range from soaring highs to bluesy depths, all interlaced with flights of jazzy Creole scats. 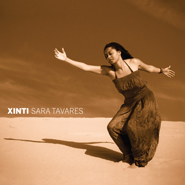 The new album Xinti (pronounced ZHIN-tee) moves the story forward, echoing the singer’s inner journey. Some were written on the road during the Balancê tour, and worked out in her home studio. And most are carried on waves of delicate, often complex guitar melodies. Listening to the wind is the theme of the languid “Voz di Vento” (Voice of the Wind) where, underlying the vocals, are warbling rhythms from an Afro-Brazilian drum and vibes that suggest rain drops. The dreamy “Manso, Manso” (Softly, Softly) lays a track vocal part over recordings made by the singer in the streets of Lisbon. Tavares’ philosophical sub-texts inhabit many of these new songs but they’re also still immersed in music made for moving, shimmying, dancing. The upbeat “Keda Livre” (Freefall), is a funkily percussive, Afrobeat concoction appropriate for a song about the dangerous excitement of passion, “a love attack!” as the singer describes it.